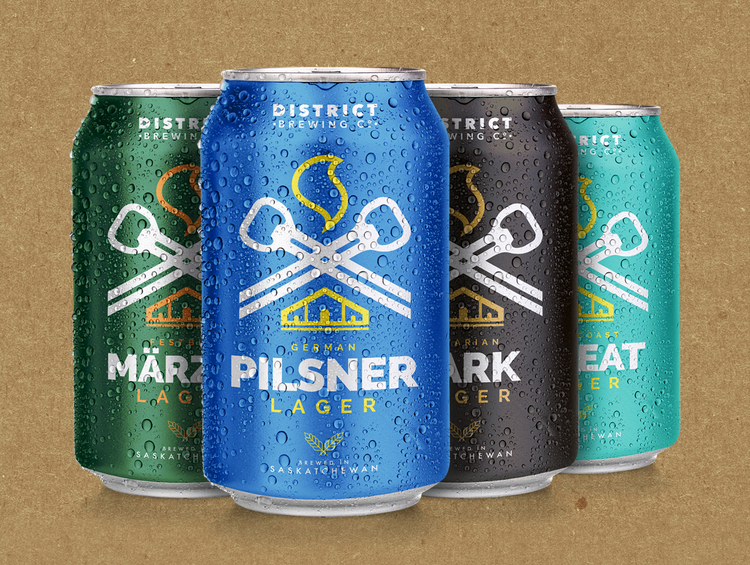 District Brewing Company is a small, Regina-based, manufacturer of premium craft beer. We produce a diverse variety of styles that cover all tastes. At District Brewing Co. we are focused on showcasing quality ingredients, brewing technique and patience. Our beer is aged for a long, cold month to ensure the smoothest character. Simply crafted with the four main beer ingredients, it is our refined technique that allows us to produce fresh and satisfying beer of the finest quality. We are constantly experimenting with both new and reliable techniques to master our craft and produce quality craft beer. Here at District Brewing Co. we encourage a culture of finding one's craft. We've found ours in brewing delicious beer. Living every day by our ethos "Find Your Craft" we invite you to discover craft beer and a brand you like, as well as your own craft in life. Take time to enjoy the journey of exploring your abilities and to what invigorates you in life. Celebrate your individuality. Craft brewing refers to both the size of the brewery and the hands on dedication towards refining one’s pursuit. In Saskatchewan, craft brewers produce less than 5,000 hectoliters (500,000 Liters) of beer, per year. Here at District Brewing Co., we are passionate about all things beer. It is our goal to hand craft you the “perfect pint”. Our brewers use their reﬁned senses and years of experience when brewing each small batch. Test us out for yourself and taste the craft difference! 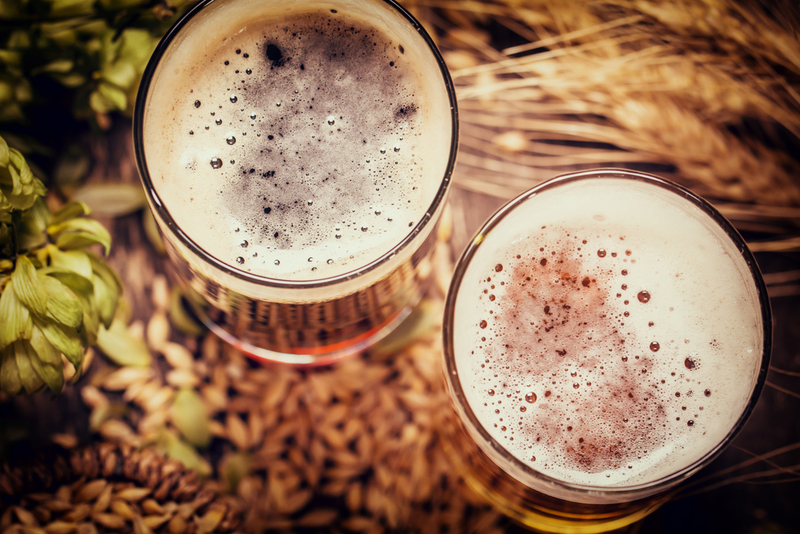 We make all of our beer from just four ingredients: Malt, Hops, Water and Yeast. Unlike cane sugar and other additives often found in draft beer, ours is simple, craft, and refreshing. We are focused on showcasing quality ingredients, brewing technique and patience. We age our beer for a long, cold month to ensure the smoothest character. No shortcuts! We are constantly experimenting with new, as well as tried and true techniques, to master our craft and produce amazingly fresh and palatable beer. Our four primary beers are distinct, dynamic and undeniably smooth lagers.They reflect the most consumed style of beer by our dedicated consumer base as well as many beer enthusiasts. The Festbier Marzen Lager, Bavarian Dark Lager, West Coast Style Wheat Lager and our German Pilsner Lager have gained award recognition and respect. We are located in the heart of the Warehouse District in Regina, Saskatchewan (CA). Stop by for a pint or grab one to take home! Our staff is passionate about our beer and helping you find the perfect brew. Join us for happy hour where we sample new beers and enjoy our current award winning ones. Check out our tasting room hours here. If you’ve ever wondered how beer is made or if you just want to check out our brewery in Regina, give us a shout and we'd be happy to show you around!